Super-Comfortable ¨C Made from premium-quality materials, including our super-soft fleece that keeps you exceptionally warm and comfortable. 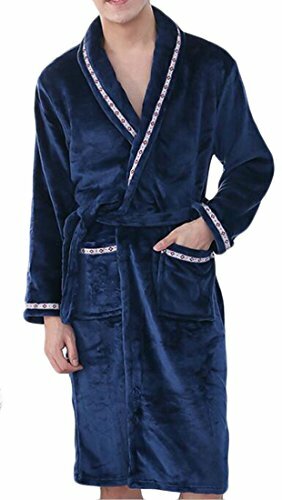 Super-soft, heavy-weight plush robe with long sleeves, soft Sherpa fleece inner lining, and pressed quilted fleece outer. GREAT FOR ANY AND EVERY MOMENT: Get hotel-level cozy every morning, evening, and night. Feel instantly relaxed and at ease in your robe, whether you're fresh out of the shower or making a cup of evening tea. If you have any questions about this product by XQS, contact us by completing and submitting the form below. If you are looking for a specif part number, please include it with your message.